Gardner, M. (2002). The Significance of Fine Grinding: A Response to Harvey Lisle. Biodynamics, (243-244), 3-13. Garg, N., Ram, R. A., & Pathak, R. K.. Research note: Effect of Stirring on Microbial Population of BD 500. Lucknow, U.P -226022, India. : Central Institute for Subtropical Horticulture. Goldstein, W. (1979). A Report on Previous Work Done with the Bio-Dynamic Herbal Preparations. Biodynamics, (129), 1-10. Goldstein, W. A. (1981). Potato quality. Biodynamics, (140), 3-28. Goldstein, W. A. (1982). The nature and value of field experiments. Biodynamics, (144), 24-28. Goldstein, W. (2000). Experimental Proof for the Effects of Biodynamic Preparations. Biodynamics, (231), 6-13. Goldstein, W. A. (1986). Alternative crops, rotations, and management systems for the Palouse. Dept. Agronomy and Soils. Washington State University, Pullman, Washington. Goldstein, W. A. (2000). The effect of farming systems on the relationship of corn root growth to grain yields. American Journal of Alternative Agriculture, 15, 101-109. Goldstein, W. A. (1982). A contribution to the development of tests for biodynamic preparations. Biodynamics, (142), 3-20. Goldstein, W. A., & Barber, W.. (2005). Yield and root growth in a long-term trial with biodynamic preparations. Scientific Conference in cooperation with the International Federation of Organic Agriculture Movements (IFOAM). Adelaide, South Australia: International Society for Organic Farming Research (ISOFAR). Koepf, H. H. (1993). Research in Biodynamic Agriculture: Methods and Results (p. 77 pp.). 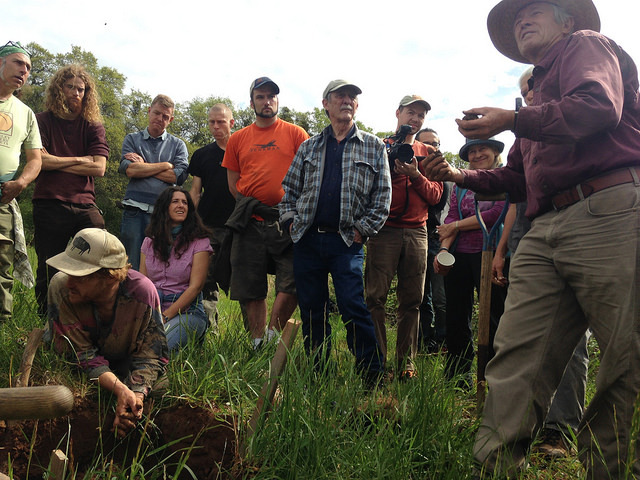 Kimberton, PA: Bio-Dynamic Farming & Gardening Association Inc.